Hey baseball fans, how cool would this be? Every fan dreams of this. We look at Spring Training now, and we know the season is coming. It would only be appropriate that once baseball truly begins again, we celebrate with the ultimate indulgent celebrations. Imagine it: 30 stadiums in (roughly) 30 days. What a way to live! People would write novels about you. Sounds terrific, but I must take issue with one point: I’d write my own novel. The total cost of Leitch’s plan: $9,208.80. By all means, if you need details on how to transfer funds to my PayPal account, let me know. Honestly, if I had the money to visit all 30 ballparks, I’m not sure I’d want to do it on Leitch’s schedule. 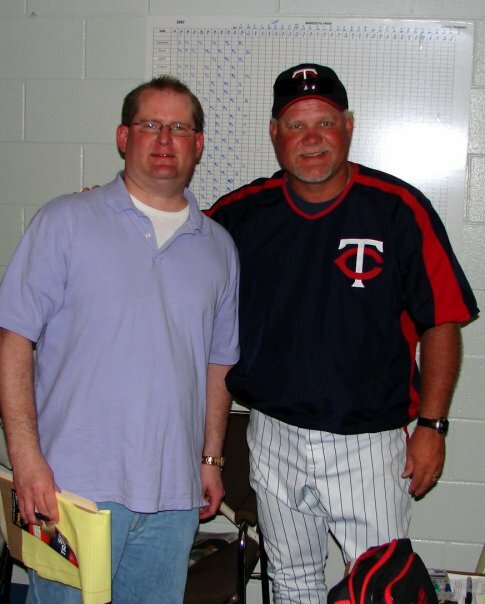 Interviewing former Minnesota Twins manager Ron Gardenhire at spring training in Fort Myers, Fla., several years ago. His plan sounds like a load of fun — and a ton of work to get from place to place and stay on schedule. A. Do the (roughly) 30-day plan, hit the friendly skies and see a bunch of different parks in the best month of baseball ever? C. Pick two or three ballparks a year to visit, and spread the joy out over a decade or more? B seemed to be the most popular option. Yes, of course — unless you want to contribute to the cause. Did I mention PayPal? Your turn: Which option would you choose — A, B or C? Tweet me @bobbyross.